I'm not sure if this could be made sticky but would be nice to have a thread for the B7 DTM where owners could post a pic of their car, we could see how many of the '250' are on here and keep track of them and compare mods etc. markmac89, Terry PVFC, Gav:in and 3 others like this. I am one of the 250, but have robbed it and spirited it away to the emerald isle. mine is also Sprint blue and was on a 55 plate. 1 mod compleated (carbon wrap of rear silver strip ) not much but it is a start. âIf everything seems under control, you're just not going fast enough." Av4nt and MorkC68 like this. Yup, Olethalb's DTM is awesome. I love the attention to detail and OEM looks! ... 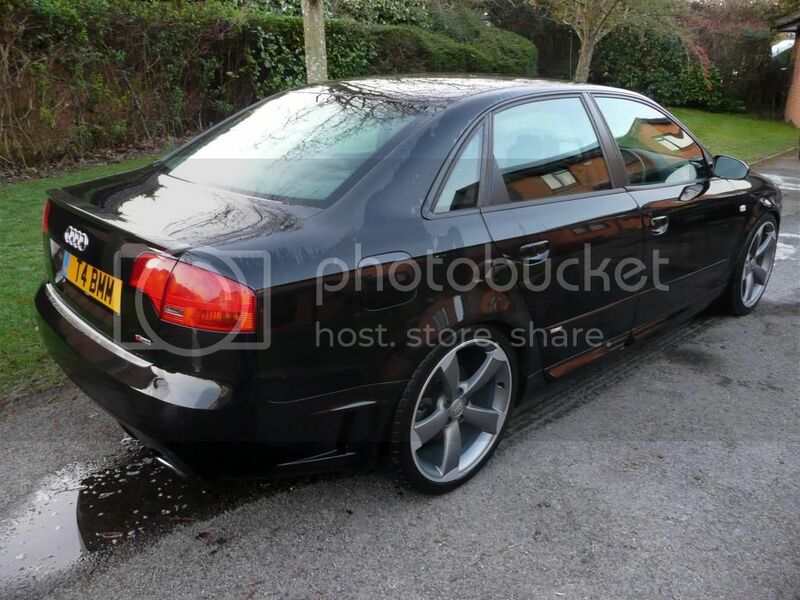 I'm tempted to sell up in a years time to buy something faster, I'd love a Wide Body K04 S4! What H&R lowering springs did you use? i was thinking about going for the 45mm ones. or should i go for the 30mm ones? i know because of the sports suspension there will not be as much as what they say. 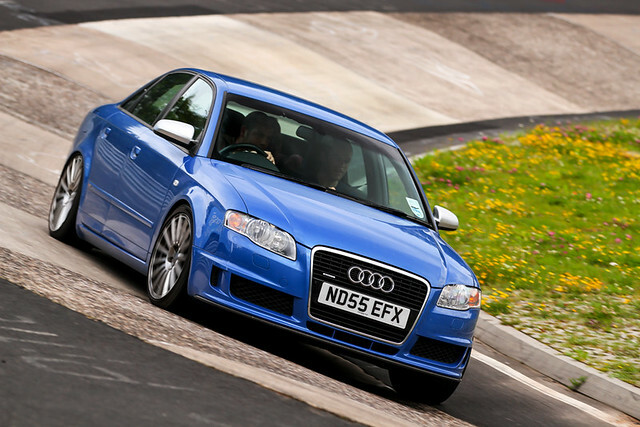 Where did you get the RS4 grille? I got mine on eBay in the end, bought a genuine 'black optics' grill for £200 and sold the surround for £50. Theres a few replica grills out there but I don't think they look as good as a genuine grill. Its a fiddly job to fit, pretty daunting when making the first cut in a expensive grill! tThese were the springs I went for and im chuffed to bits with them. Like you mentioned tho as the DTM version is 15mm lower than standard it will give a 30mm drop from standard DTM springs. I will say tho that after having them fitted for a couple of months now that they do drop a bit more from when you first fit them after a few hundred miles. question for spider 74 and olethalb. With the S4 brakes, can you use the original callipers and just get the S4 carriers and disks or do you need to use S4 callipers, carriers and disks? Just the carriers and discs mate, your calipers just bolt on. Very easy job to do. Big difference for little cash. guess what i am spending my work bonus on this month......? Spider - thanks for taking time to post, i know you've been on track with yours - does RS4 ARB make that much difference? Id say the RS4 ARB is a worth while job for the cost. Easy to do and about £100. Main thin it does is help correct the Audi Under steer. Makes the back end feel lighter and to me balances things out nicely. Its subtle but you will feel a difference, even changing lanes on the motorway it will feel planted. Its not a remap different but should be on everyone's list! Part numbers as best i remember from my notes. 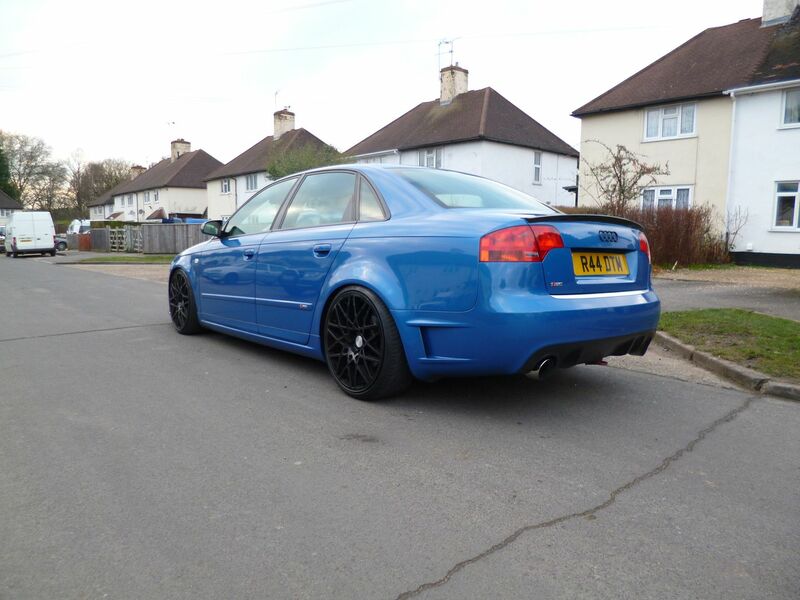 Thought I'd best reserve myself a space in this thread.. A4 DTM, Sprint blue, mostly standard. 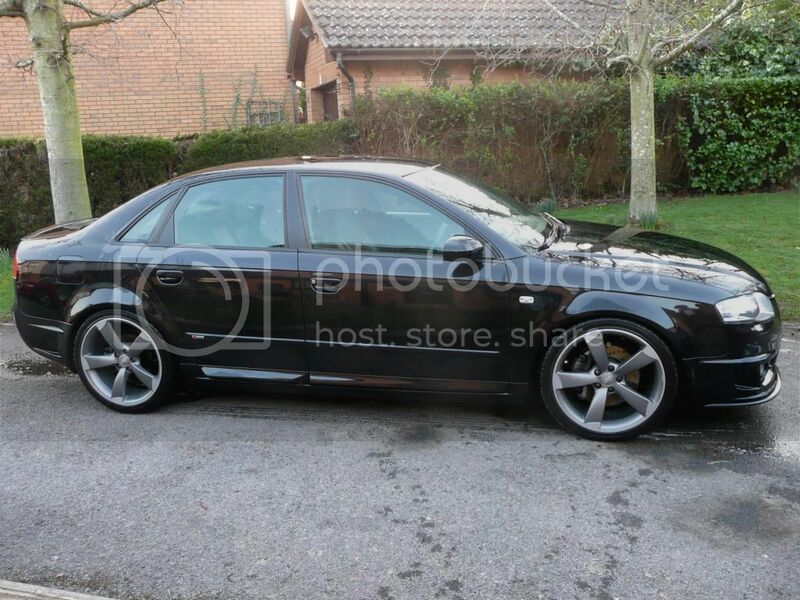 I might even have seen Olly's black DTM on the M40 the other day, or maybe in Tesco petrol about 8 months back. Hey Olly, why are you adding that? If it's for AirPlay to the radio, or video to the RNS-E, are you aware of this product instead? by the way, olethalb, this is the best idea you have had since you bought your DTM. this thread is not even a page long and i have already learned a few things. The Kivic One looks pretty good! I have a X Carlink sat around, along with an old airport express. I fancied making something that could use Apples built in Airplay function to stream music from any iPhone, iPod etc to my OEM head unit. I'm going to make a small housing to hide everything in the glove box or draw under the front seats. Any way, theres much easier ways to stream music, I just fancied a little project. It probably wont work but will keep me entertained for a while! how do you clean your alcantara on the steering wheel ? 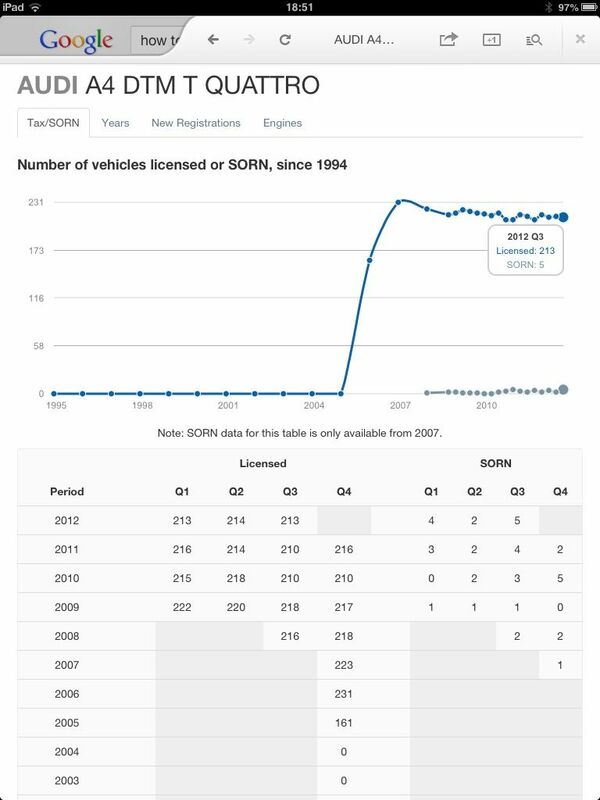 and as a matter of interest, and if you are rich (or want to torture yourself) have a look at this. 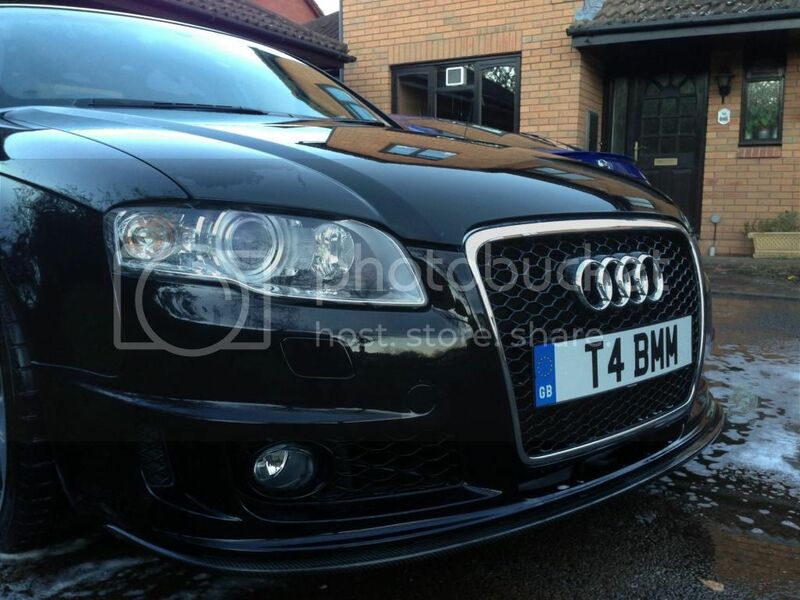 Does anyone know if there are any company's or individuals that could do the RS4 into the DTM grill conversion as this is the final mod I need to do to mine but I don't have the necessary skills, patient's or balls to do it myself. 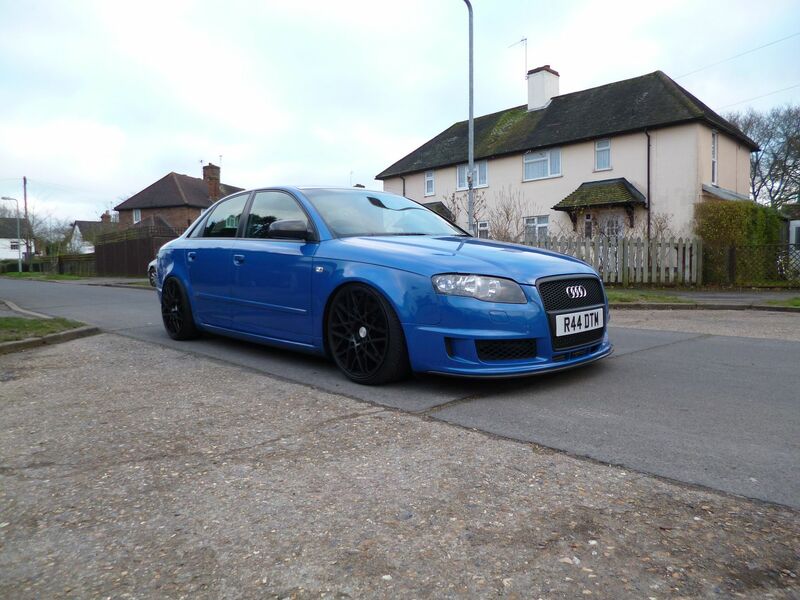 Carbon Fibre, MFSW, BOSE, Bluetooth, Parking Aids, Nav Plus, Recaro Leather & Alcantara, S4 Mirrors, RS4 pedals, H&R springs, RS4 ARB, Spacers, Debadged, Auto Lights/Mirror/Wipers, Silent Forge DV & Vredstein Ultrac Sessanta Tyres. Awful Mileage and some TTS Roadsport stickers! I use the interior trim cleaning cloths on mine - yes, mine also looked worn but often it's actually just stuck down with grease and dirt and will spring back fresh if you give it a clean. Give it a rub with one of those wet interior cleaning cloths and check if the cloth is picking up dirt. Keep going until the cloth comes away clean and you're laughing. No brand loyalty here, anything that will cut through the grease will do it! but then i would have to get a girlfriend, i cant be seen buying one of those. 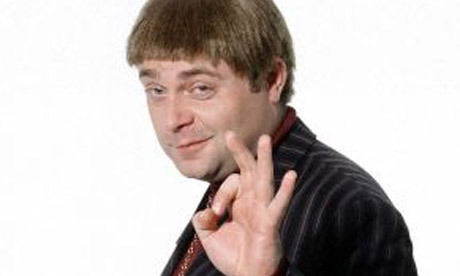 right, its pay day. i am off to start work on my DTM project. 20 min job and it is like having a new steering wheel. Nice work! I might even buy a few of those ones myself, despite saying I'm not brand loyal. Afternoon chaps.. just stumbled on this thread fortunately. 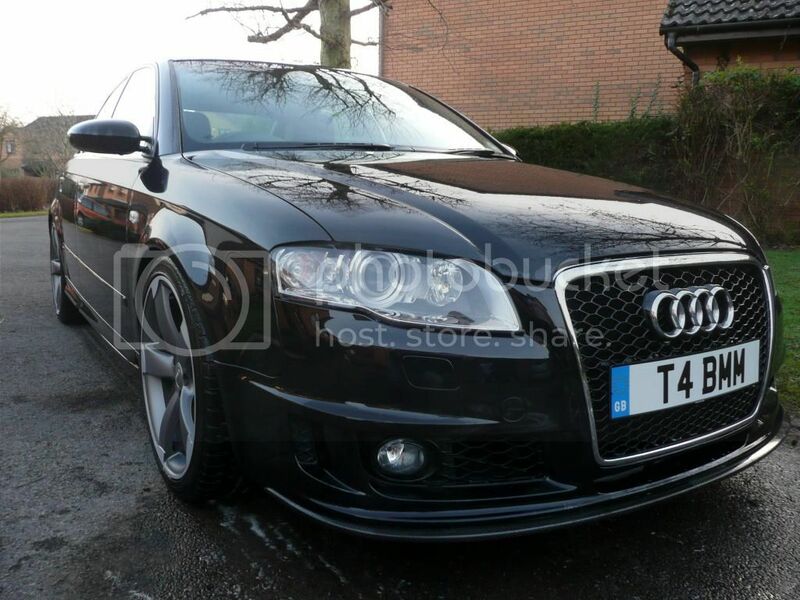 I am thinking about chopping in my A4 B7 Cabriolet (2.0 tdi - 2007) for a DTM. 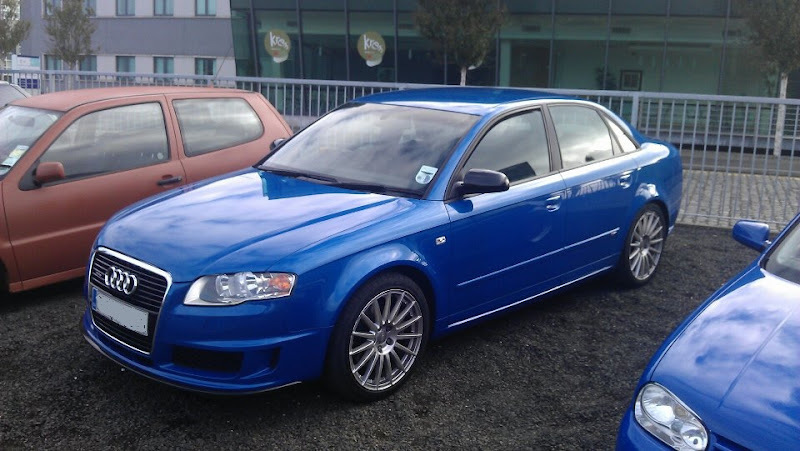 Seen one in silver which looks pretty nice, with Nav, and all the other standard bumph with about 64k on it for £9.7k. Do you think that sounds like a decent price and is there anything I should look out for on it?